Women in the FARC make up an estimated 45 percent of the guerrilla force, and for years fought alongside men under the roughest jungle conditions. But now they’ve reached a new stage in their struggle: bringing down the patriarchy and introducing their version of feminism to mainstream politics. Today, Lozado is one of over 7,000 ex-combatants who have put down their arms and started the reintegration process into civilian life – part of the peace deal signed between the FARC and the Colombian government last year. The Marxist-Leninist group has been fighting for land reforms and wealth redistribution in the countryside for over 50 years, in one of the most unequal countries in Latin America. But while the guerrilla feminist movement was created for the need to fight against female oppression, it grew out of the women’s struggle in society and in the guerrilla itself. According to many of the ex-combatants, women often looked to the FARC as an escape from the oppression they felt at home or in their communities. In some cases that meant physical abuse by dominating male figures, threats or violence by paramilitary groups, and constricting gender roles. ?? Lozado said she didn’t know anything about feminist theory when she decided to join the guerrilla over 20 years ago, but that the “differences and major inequalities between men and women” around her became a motivating factor to join. The FARC offered a militant structure, where everyone – regardless of gender – shared daily tasks and had the same responsibilities. Where everyone cooked, bathed, and marched at the same pace. The newly formed FARC political party’s feminist platform includes women’s emancipation, equal access to education, equal pay, the right to work outside the home, equal participation in politics, and of course fighting violence against women. ? This is what the organization calls “collective empowerment,” saying society itself will become stronger when women are empowered, according to its Women and Gender Thesis. Colombia has long been known as a machista (or male chauvinist) society, with experts saying this is the cause of ?female oppression and the high levels of gender-based violence in the country. According to Colombia’s National Institute of Legal Medicine and Forensic Science (INMLCF), there were over 1,000 femicides in Colombia in 2014 alone. That same year, there were also 37,881 registered cases of violence against women by their partners, and 16,088 registered cases of sexual abuse – in 86 percent of these cases, the victims were children and adolescents. And these are only the reported cases, but experts believe the vast majority of violence and abuse goes unreported. But even though many women were drawn to the fact that the more typical gender roles had been erased within the FARC, the force has not always been the perfect vision of equality. 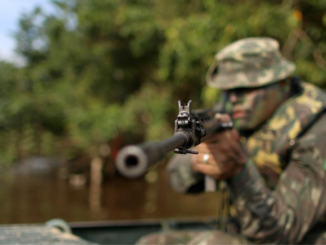 For Lozado, the transition into guerrilla life wasn’t easy. She constantly felt she had to prove herself worthy of being a guerrilla, which meant crossing narrow bridges over large canyons, carrying up to 130 pounds of gear on her back while moving camps – and always refusing help, she said. But this, she admits, is not the form of feminism that the FARC is now promoting, where women have to prove their worth on a daily basis. For Marin, there are three important roles for Insurgent Feminism in achieving these changes. First, it needs to help people see these inequalities and how harmful they are in society. Second, the movement must define itself and its policies as non-patriarchal. Third, the party must actually create spaces for women and offer them opportunities to reach higher ranks in politics and their professional lives. Marin was one of the women working behind the scenes in Havana, Cuba, where the FARC and the Colombian government negotiated the peace deal from 2012 to 2016. She was one of many women who pushed to create a Gender Subcommission for the peace talks and to consequently ensure that a gender perspective is applied to the implementation of the peace agreements. According to Marin, their main objective is to make sure that all women – victims, guerrillas, poor, Indigenous, Afro-descendent, LGBT – are active participants in the development of the country in the post-conflict era. That all women have the same rights as men. ? The FARC women’s approach also acknowledges another kind of violence that goes unnoticed in Colombia, that of economic or patrimonial violence. This is when men deprive their partners of their own earnings or access to money, so that women are never able to live autonomously or independently. For Insurgent Feminism, fighting for gender equality goes beyond creating progressive laws that encourage women to study, own land, or control their own finances — although it does entail all of these things. But it also means fighting the capitalist system, which has played a major role in fomenting gender roles in society, keeping women away from the means of production, and, consequently, their ability to take control of their own lives. This is even more true for working class women. According to their Thesis on Women and Gender, what feminism under capitalism has done is create the circumstances for some women — mainly middle and upper class — to enjoy certain individual freedoms. But the guerrilla feminist movement, staying true to its Marxist ideology, looks for real structural transformation in society to liberate all women. This can only be achieved by changing the distribution of wealth, overcoming gendered divisions of labor, and understanding the current and historic role of women in society. ? 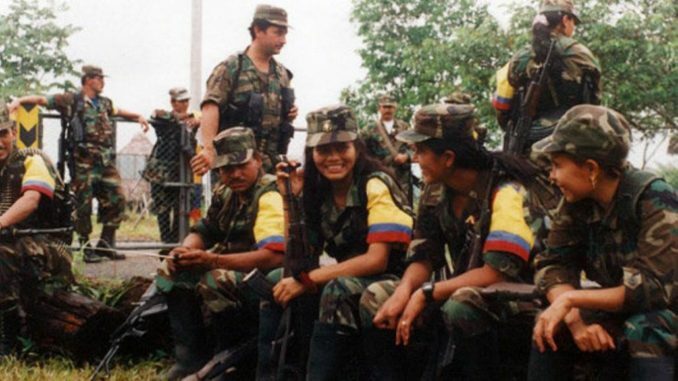 As noble as the Insurgent Feminist movement appears to be, the FARC has also long been criticized for its abusive practices towards its female combatants. In some cases, women have reported cases of sexual assault within the guerrilla, even though FARC leaders deny that this is a reality. ?? “Clearly, yes, there have been cases [of sexual assault], but these aren’t a part of the politics of the organization,” said Girlandrey Sandoval, a long time women’s rights advocate and part of the gender division of the Commission for Monitoring, Enhancing and Verifying the Implementation of the Peace Agreement (CSIVA-FARC). 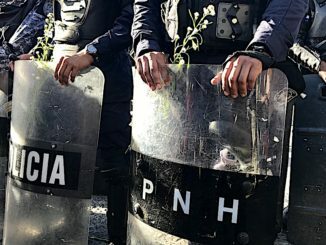 According to Sandoval, these cases of abuse are part of a larger societal problem that needs to be addressed, where the abuse of women is systematic – but it’s not something intrinsic to the FARC. ? Then there is the issue of forced abortion and contraception, which many claim was an institutional policy, even though guerrilla leaders have denied this. According to Marin, the FARC had implemented a special “planning” initiative, after which time women started having “fewer pregnancies and abortions” and “more practice and experience” through sexual education, something that was ultimately never taught to them growing up. ? It’s also important to remember that these people were at war, said Sandoval. Abortion wasn’t thought of in the same way as it is in Colombian society, as being morally wrong or reprehensible. Rather a baby could put you and 20 of your comrades hiding in the jungle at risk, she added. ? Ultimately, at the heart of the feminist struggle for the Marxist guerrilla group is also a class struggle that recognizes that women occupying the bottom rung of society, with little access to resources, are often the most oppressed. But when I asked Marin who stands to benefit the most from Insurgent Feminism, I expected her answer to be poor women in the countryside, or more specifically Indigenous or Afro-descendent women, those who are typically the most forgotten in Colombian society. But her real answer was different: everyone, she said. ? “First it benefits all women. And second it benefits men,” she said. “Because when we keep advancing with feminism, a series of societal burdens are taken off of men as well,” and the relationship between people gets stronger. “The Colombian state is very scared of that strength,” she said, adding that the fight is far from over.? Kimberley Brown is a writer, multimedia journalist, and anthropologist. She is currently based in Quito, Ecuador, covering regional politics, society, and environment with a strong focus on social justice. 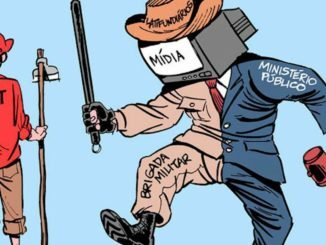 She has reported from all over Latin America, including Mexico, Colombia, Ecuador, Brazil, and Argentina. ?For more of her work see?เล่นคาสิโนออนไลน์ให้ได้เงินwww.kimberleyjbrown.com?or follow her on Twitter @kimberleyjbrown.